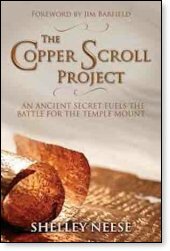 The author of the Copper Scroll Project, Shelley Neese, has created a riveting and true story of one man's epic search for the lost treasures from the First Jewish Temple, which stood on Jerusalem's Temple Mount. In this first book by Ms. Neese we meet Jim Barfield whose motivation, since he began his quest in 2006 to find the treasure, marks him as a deeply religious man who wants only to "return the Temple artifacts to the Jewish People." As he says, "It's time." Jim Barfield fervently believes the Biblical artifacts and treasures lie deep under the desert soil close to Qumran and the Dead Sea; a mere 18 miles from Jerusalem, Israel. 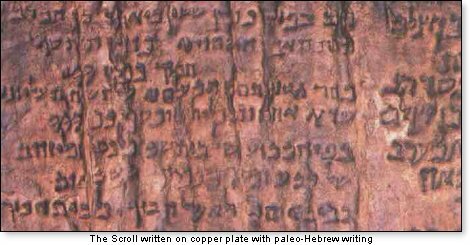 The copper scroll was first discovered in 1952 and although found near the famous Dead Sea Scrolls, which were written on papyrus, the copper scrolls were inscribed in Hebrew letters from the Roman period and engraved upon thin copper plates. Archaeologists and historians remain conflicted as to the origin of the treasure listed in the 64 locations as shown in the copper scroll map. Could the treasure, if found, be of greater significance to Israel and the world than even the Dead Sea Scrolls? That is the hope that fills the pages of this most remarkable and fascinating book. As Jim Barfield himself asks: "Is there a scholar, a rabbi, an antiquities authority, or an interested reader with the influence strong enough to loosen the stranglehold that prevents the project from completing our excavation?" 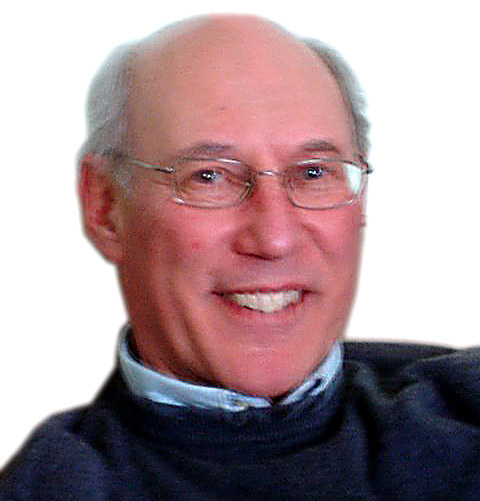 And as Jim Barfield writes in his foreword to Shelley Neese's compelling book, "I am confident that once a massive recovery operation takes place in the Judean desert it may well reveal to the world messages, instructions and valuable wisdom from the heart of Israel's past leading to a much deeper understanding of the Bible and an unrevealed history." It is this looming question that makes the book's story so tantalizing. Why, after Jim Barfield's scan of the soil with a sophisticated scanning device, which revealed the likelihood of highly possible artifacts lying some eight feet deep, was an Israeli archaeologist who had begun to dig shallow test pits, told to shut down the dig after receiving a mysterious phone call? Vendyl Jones, a Texas preacher turned Biblical archaeologist who may have been the inspiration for the Harrison Ford cinematic character, Indiana Jones, believed Qumran to be the hiding place for the Temple vessels. He spent 30 years searching while using the Copper Scroll as a guide. Jim Barfield, a retired firefighter and arson investigator from Oklahoma, met with Jones, now deceased, and was deeply inspired to continue the challenge of locating the lost Biblical artifacts. Ms. Neese fills her book with the triumphs and disappointments as Barfield, who had tirelessly worked to crack the Copper Scroll's code, and his three companions systematically map out the area where they become convinced the ancient Biblical treasures lie. For now, the mysterious artifacts are waiting under the ground where they have remained for millennia. Will growing public demand for a full excavation of the site finally become so insistent that a dig can take place and vindicate Jim Barfield? The world and members of the Israeli Parliament along with the general public, are urging the appropriate authorities to unearth what Barfield has tirelessly worked so hard to claim may be the First Temple treasures from Israel's ancient past. This significant and noteworthy book is both a highly absorbing and entertaining account of many years of triumph and disappointment as Jim embarks on journey after journey to Israel where he edges ever closer to a discovery that may well electrify the world. It may also resolve once and for all the conflicting political and historical claims that bedevil the Jewish people's ancestral and Biblical right to their homeland. A contingent of religious Jews have said it is time for Israel to actualize its sovereignty over the Temple Mount. But one man in particular, a brave Israeli politician named Moshe Feiglin, after meeting Jim Barfield and learning of his painstaking research into the Copper Scroll, is now urging that a rescue mission be launched to reveal the sacred artifacts that may lie under the soil at Qumran. Ms. Neese points to what Jim Barfield sees as the flaw in the predominant opinion that the treasures listed in the copper scrolls simply refer to gold and silver. 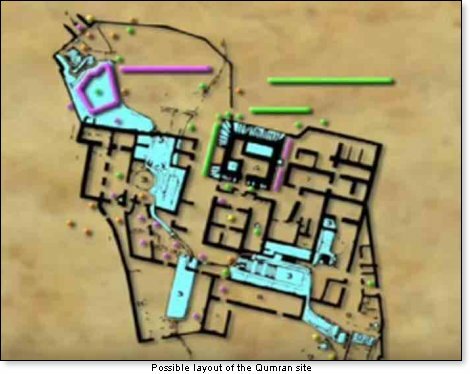 One of the locations described in the copper scroll refers to priestly vestments – not treasure – and that makes the argument more valid that what lies beneath the ground is from the First Temple period hidden from the Babylonians as described in Jeremiah 28:3. In Shelley Neese's beautifully written account of the many expeditions by Jim Barfield and his worthy companions to Israel and to the Qumran site, we share the excitement of the quest to discover and pinpoint the location of the artifacts as described in the copper scroll's treasure map. Reading this remarkable book, replete with copious footnotes and pictures of the list of characters, including Shelley herself, who worked with Jim Barfield on his visits to Qumran, is a tour de force of excitement and anticipation as readers share in the wonders of a distant past, which if and when revealed, has the potential to change the world. The Copper Scroll Project is a must-read for anyone who wants to understand the world of Biblical archaeology and the colliding interests of political disputes and land claims that roil the Islam-Israel conflict. It also exposes the passions that exist within embattled Israel for fear that archaeological progress may ignite yet more Muslim violence and aggression against the reconstituted Jewish state. Above all, Shelley Neese has displayed great linguistic skills and a brilliant grasp of history as she details the driving passion of a singular man, Jim Barfield, a Noahide, who tirelessly works to reveal the hidden treasures and sacred artifacts from the First Jewish Temple on Jerusalem's Temple Mount.